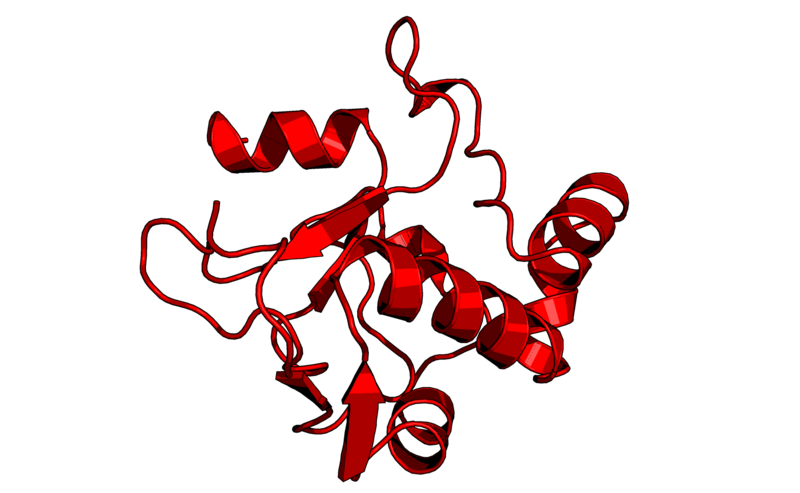 Colicin E2 DNase domain "miniColicin"
Colicin E2 is a peptide, that is toxic to coliform bacteria. It is one of a group of proteins of this type, it being a nicking endonuclease. It has a corresponding activity inhibiting protein called immunity protein Im2, which is also in the registry under the name BBa_K1976027. Figure 1:Structure of Colicin E2 DNase domain derived from a molecular dynamics simulation. The Colicin E2 immunity protein (BBa_K1976027 and BBa_K1976028) can be used in combination with the Colicin E2 DNase. Due to to the high binding affinity of the immunity protein to the DNase domain (Kd ∼ 10− 15 M)2, it can be used to fuse proteins and in combination with a suppression mechanism for the immunity protein as a bacterial killswitch.